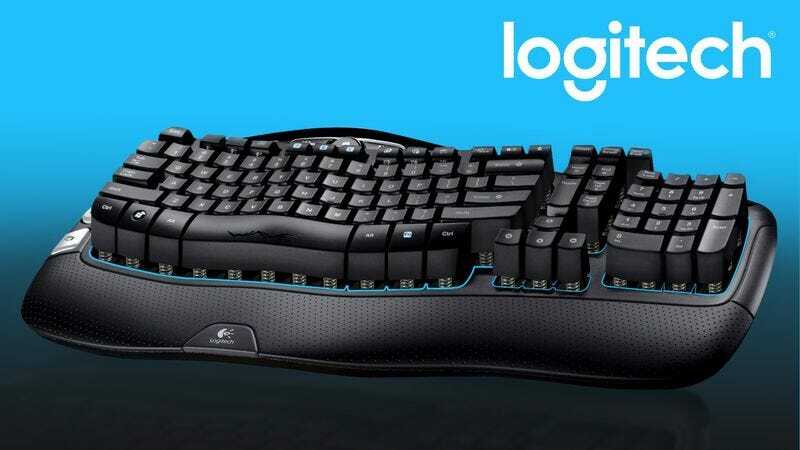 NEWARK, CA—Saying that an intense workout was now as close as their home or office work station, computer accessory manufacturer Logitech unveiled on Thursday a new freestanding resistance keyboard for fitness-minded typists. “With up to 12 pounds of resistance per key, a vigorous exercise experience is literally at your fingertips,” said company spokesperson Caroline Fenster, adding that the variable-weight space bar and 10 preset workout routines allow users to tailor their keystrokes to their individual fitness goals. “The incline of the Logitech PowerBoard can also be adjusted to target different muscle groups in the fingers, hands, and wrists, and to give users complete control over how much they want to exert themselves while typing documents or emails.” Logitech is reportedly hoping that the keyboard will improve the company’s fortunes after last year’s disastrous rollout of its 150-pound strength-training mouse.